What inspired two of our newest tenants to join the bar? Watch this video to find out what Tiffany Chan and Look-Chan Ho regarded as some of their headiest challenges and biggest rewards during their days as pupils at DVC. 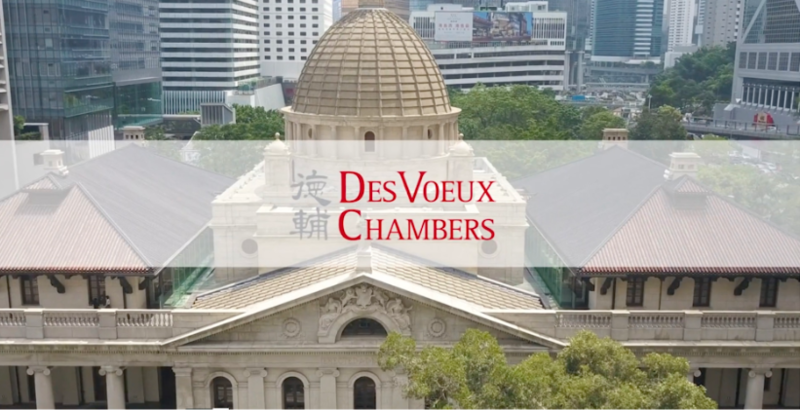 Des Voeux Chambers prides itself in providing a unique platform for aspiring and talented barristers, particularly those in the junior end, irrespective of their background, financial position and connections. Meritocracy and fairness are our most celebrated principles. We strive to provide an extensive and in-depth training and learning environment to students, pupils and junior members alike. We are fortunate to have a pool of dedicated pupil masters who are committed to nurture and educate our pupils and junior juniors. Indeed, many of our junior juniors, at the early stage of their professional career, willingly and knowingly carry on the torch of helping future pupils and contributing back to the Bar and the society. To support meritorious students and potential talents, Chambers makes available a wide range of scholarships and grants (both needs-based and merits-based). In particular, all first year tenants receive financial assistance covering all Chambers expenses (including rent) in order to assist with their commencement of practice, and those in the second year will continue to benefit from a junior subsidy towards Chambers expenses. These are made possible through the generosity of senior members and a mission to nurture our future generations. It is therefore of no surprise that Chambers has a particularly strong junior end and houses a large number of the very best of each year’s pupils. As matters stand, Chambers is home to 23 Bar Scholars (awarded annually by the Hong Kong Bar Association to the most outstanding pupils each year), 4 Rhodes Scholars, 20 holders of the highly regarded Bachelor of Civil Law degree from the University of Oxford, a number of them having graduated at the top of their respective undergraduate class.